The Teacher Dad: So.. why not teach? And then there is the logistics of finding the time to do the shopping when I teach, wifey owns a business... oh, and that little fact that we have 5 kids under the age of 10! Pretty much me.. sans the earbuds! ha! The final answer to our shopping insanity is to do it late at night after the kids are asleep. This actually isn't too bad for me. Since I do the cooking, it's easy for me to then do the shopping. My wonderful wife gets time to work in her office, or relax, while I load up a podcast and do some shopping! I look at it as great me time. I get to meet and/or see a lot of interesting people shopping late at night. Typically, the stores are pretty quiet too, so the people working at the check-out are really bored. Since I always pop my ear buds out when I'm in line, conversation naturally happens. I always ask about school, where they went, what they liked about it, who was their favorite teacher and why? This past week, on my run to the store, I found myself in conversation with a college aged kiddo. When it came up that I was a teacher, she smiled and said, "I think I really want to be a 1st grade teacher, but I don't know... Everything about teaching seems so crazy anymore." And it's true. There are teacher shortages, strikes, student test performance linked evaluations, and the dreaded common core <said in spookiest tone>. All of these are true, actual things that are happening in the world of public education. I hear many teachers having a hard time encouraging others to become teachers. That under the current demands, teaching just isn't a profession that they would recommend to people. I get it. And in that moment when she told me that, I could have said all of those things. But, the look in her eye when she said that she wanted to be a teacher stopped me. Because there was that look of passion that only a TRUE teacher has when talking about the profession. I could see that she would be an excellent teacher for a group of 1st graders. That she would be the type that would do what was best for the kids, and eventually get past the worry of all of the above mentioned strains. I saw a person who would truly LOVE the job. 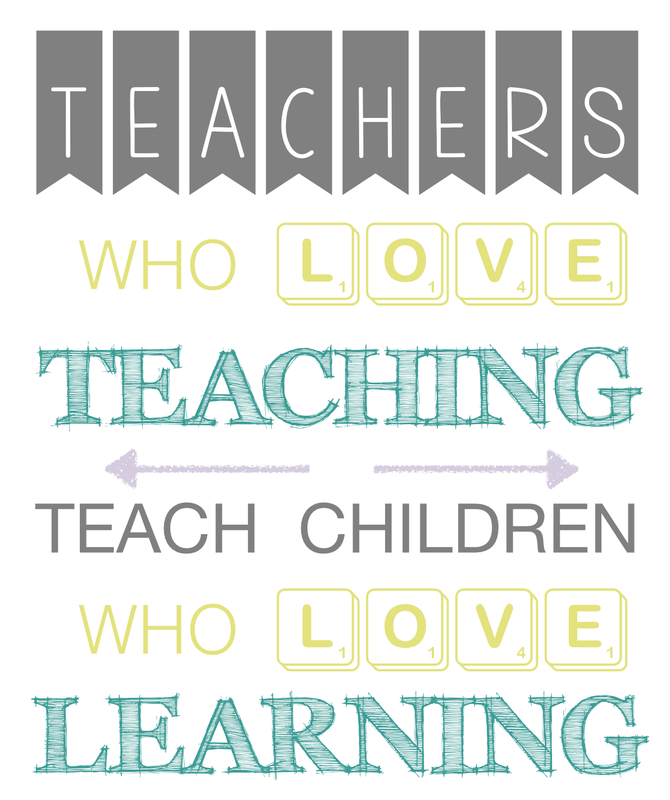 Ultimately, being a teacher is about loving the job. It's about surrounding yourself with people that support you in having a positive and lasting impact on the lives of others. I couldn't do this job without the support of my wife. I couldn't do this job if I hadn't learned from my teaching mentors that all of the common core mumbo jumbo is just another fad that will dwindle away into something new. And that the key to me being successful as a teacher has to do with my passion for being a role model for my students. So, I did for her what she needed. I told her to do it. That I could tell she would be a great teacher, and that I believed in her. And as I walked away to load my car with groceries, I could still feel her smiling behind me. I truly hope she becomes a teacher. And any of you that want to do it, that want to make the jump into teaching, go for it. It will only help us current teachers to have more passionate, hard working, kid centered teachers around us. It makes the profession look that much better! And as a father of 5, I WANT those teachers for my kids. I want the ones that LOVE the job, and have the passion I saw in that young adult! So, why not teach?! Sure there are all of the glass half empty reasons to keep you away, and if those are the ones you see.. go find another profession! Stay away from mine. But if you see the glory of what teaching kids can bring to your everyday, then PLEASE step up and be a part of team!